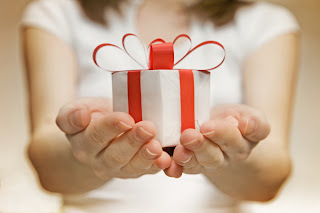 Can you think of a special gift you have received? My husband travels a lot, so he frequently brings me jewelry from his travels. I love looking at each piece remembering from where each originated. These special pieces are important to me because my husband thought of me on the other side of the world and brought them home just for me. The “special-ness” of these gifts comes from the “special-ness” of the giver. Peter considers faith a gift. I think it is easy for us to understand that our salvation is a gift from the Lord. We know that there is nothing we can do to deserve our salvation; it is completely free and undeserved. What about faith? In Ephesians 2:8-9 Paul tells us For it is by grace you have been saved, through faith – and this is not from yourselves, it is the gift of God – not by works, so that no one can boast. The faith is the gift of God. I think we have the tendency to feel that the faith is ours, something we do. You cannot have faith if God had not given it to you. Not only does Jesus begin the faith, He perfects it. Hebrews 12:1-2 reminds us, Therefore, since we are surrounded by such a great cloud of witnesses, let us throw off everything that hinders and the sin that so easily entangles. And let us run with perseverance the race marked out for us, fixing our eyes on Jesus, the pioneer and perfecter of faith . . .
Isn’t it amazing that Jesus is constantly working in and through us? He is changing us more into the image of Him. He is truly the Giver of GOOD gifts! Lord, help me to fix my eyes on Jesus.